How would you feel if you are on date and especially for you the dinner table is beautifully decorated and touch of sparkle is given by using fancy napkin ring. I am sure you will be at the top of the world because of such a special attention. So now it is your turn to make your day a special one. You have done all the preparation and thought about table decoration. Here I am presenting napkin ring ideas that you can use to decorate your table further as small things and gestures do matter a lot and speak for you. Ribbons and laces are always associated with the fairy tale. So if you are one of those who lives in fairy tales then this can be the best possible option of napkin rings. Get the ribbon of your choice from the market. For correct length of ribbon, take a rough fabric strip and tie a simple knot around napkin. Multiply the length with the number of rings required. Add length of one extra ring in that. Now cut that into required length and number. 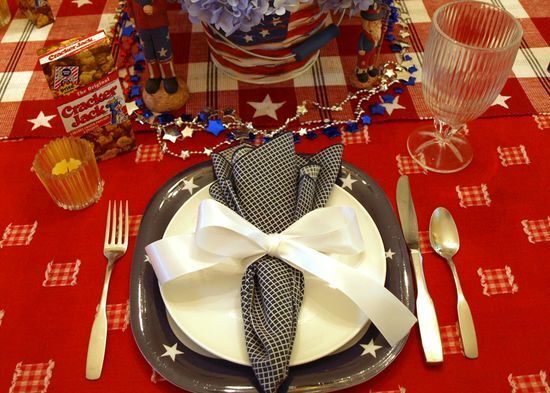 Use the ribbon as napkin ring by tyeing a knot around the napkin. If you have beautiful rubber bands having beads or other accessory attached to them then you can also use these as your napkin ring. Or you can always get these from market. It is the cheapest but very good napkin ring idea. Beads are all time favorite and moreover now the spring season is coming so you will get very beautiful beaded napkin ring to do the spring table decoration. Match the color with table cover or table accessories for more trendier look. Jute is the natural fiber and so anything made from jute is also natural. 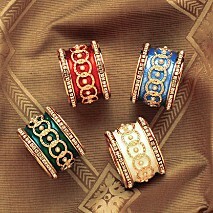 Check out these beautiful napkin rings for your table. 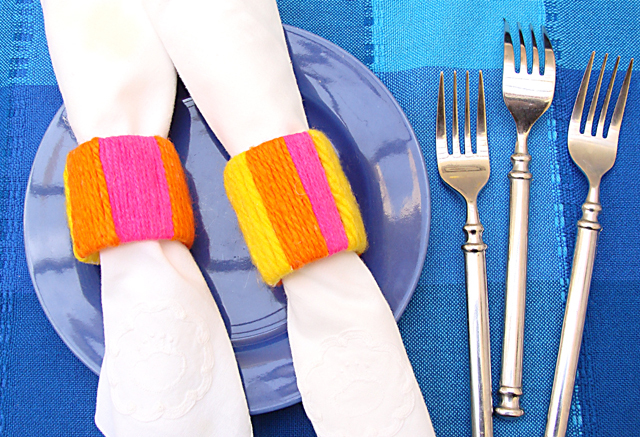 To make woolen napkin ring buy simple plain plastic napkin ring. Get the wool threads of your choice. Now wrap the wool thread across the napkin to give it a color. Wood is all time favorite and a very elegant in look. There are available in different styles, designs and color. Carved wooden napkin rings further ameliorate the table decoration. 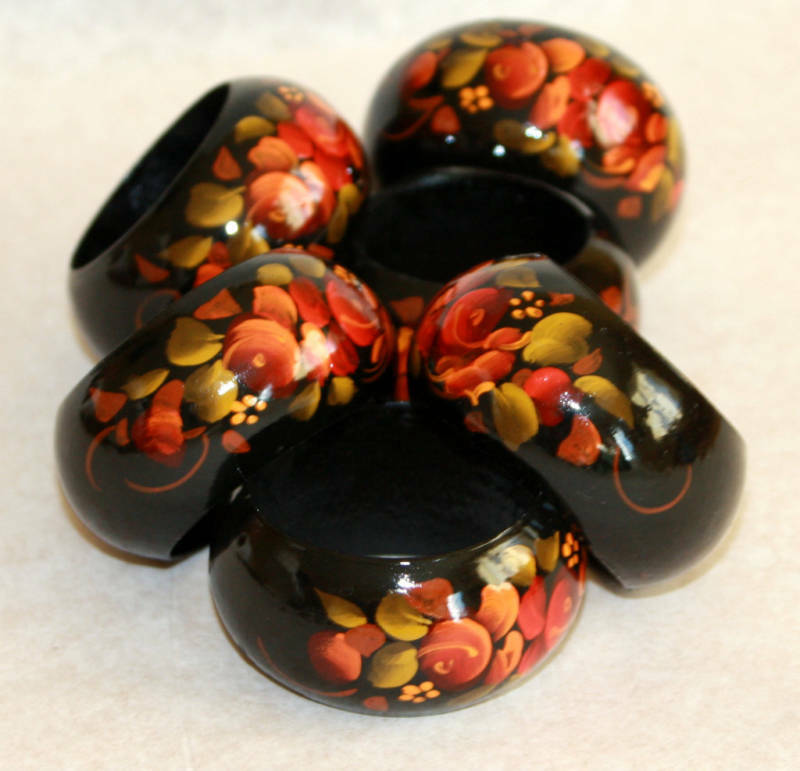 If you are very artistic, buy simple wooden napkin rings and paint your imagination on those. 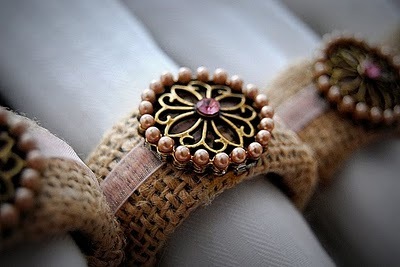 You can attach beads, lace, or decorate them with colors of your choice. It makes a very good napkin ring idea. If you are looking for something very easy to maintain and cheap then go with plastic napkin ring. All colors and designs are there to charm your napkin and table decoration. 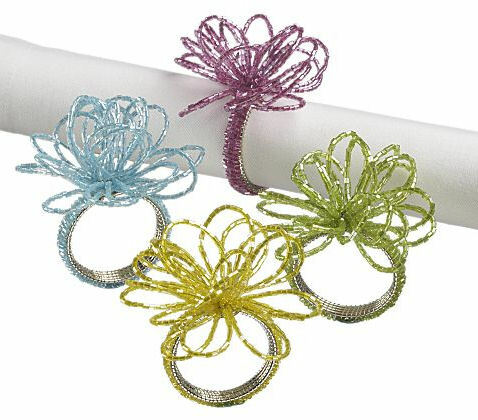 Napkin rings from the recycled plastic are getting more popular as these are eco friendly as well.